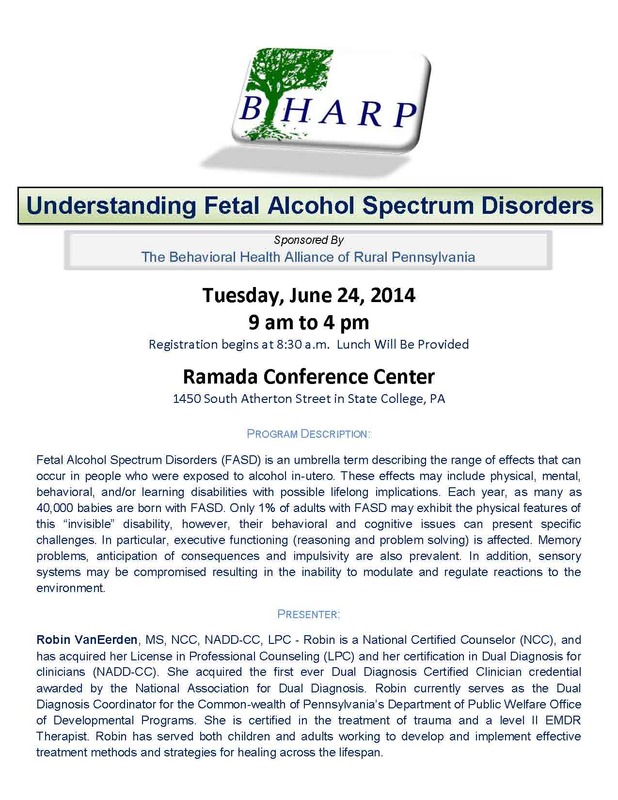 The Behavioral Health Alliance of Rural Pennsylvania (BHARP) is pleased to announce an opportunity for an upcoming training that we are sponsoring on Understanding Fetal Alcohol Spectrum Disorders. 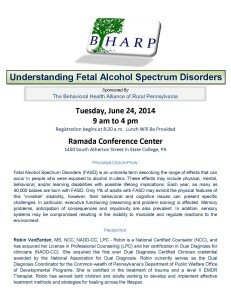 The training will be held on Tuesday, June 24th from 9:00 am to 4:00 pm at the Ramada Conference Center in State College, PA. Space is limited for this event. Lunch will be provided. 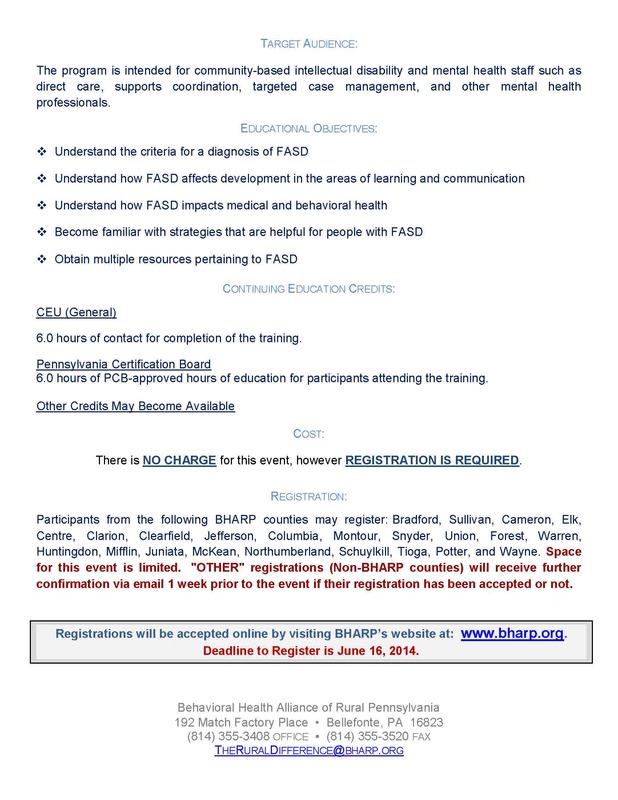 There is no charge to attend, however registration is required. 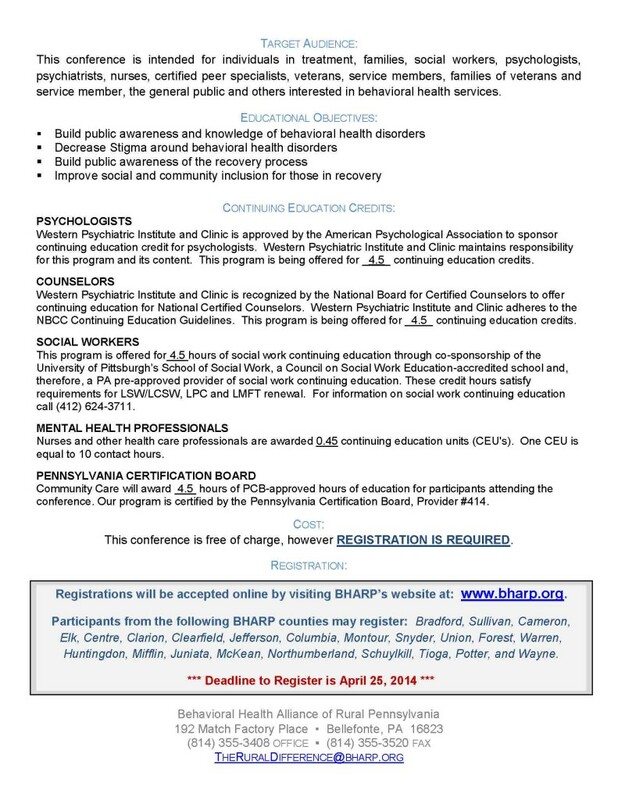 Registration is now open online by visiting our website at: www.bharp.org. 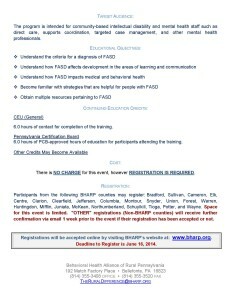 Deadline to register is June 16th. Attached is additional information. 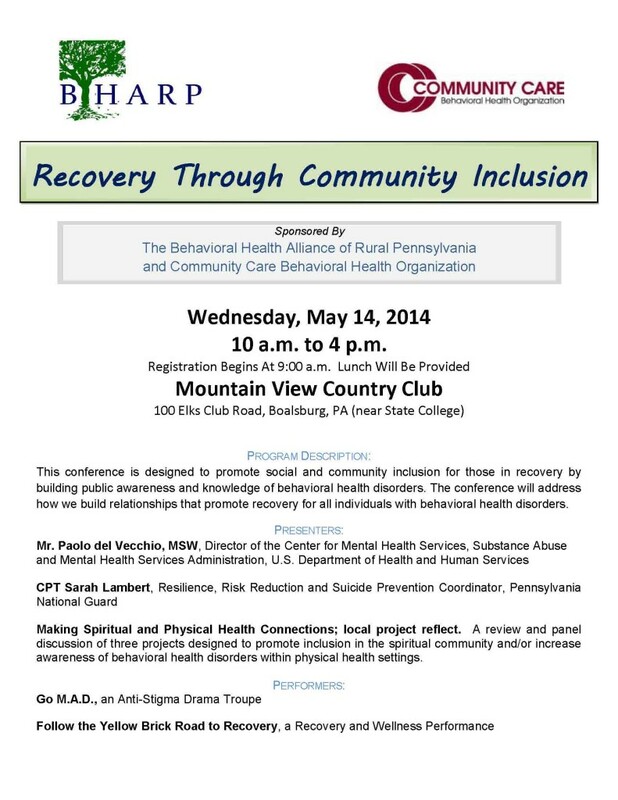 PCPA has published Continuing the Success of Pennsylvania’s Behavioral Health Managed Care Program. The primary purpose of the paper is to keep legislators, state and county officials, and other stakeholders apprised of the important and successful commonwealth program, Behavioral HealthChoices. The paper was written on behalf of members to highlight the success of the behavioral health managed care program and support continuation of this model. It has been the overwhelming experience of community providers, consumers, and many others in the field that the Behavioral HealthChoices model of specialty managed care offers a structure of accountability that assures access to quality care, implementation of evidence-based treatment, and sound fiscal control. PCPA believes strongly that the model should continue. All members are encouraged to forward the paper to local officials and other stakeholders whenever possible.